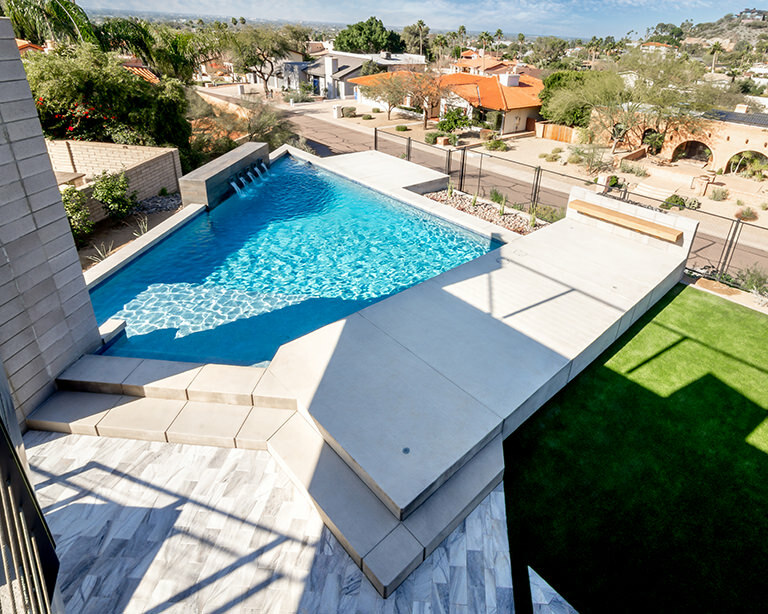 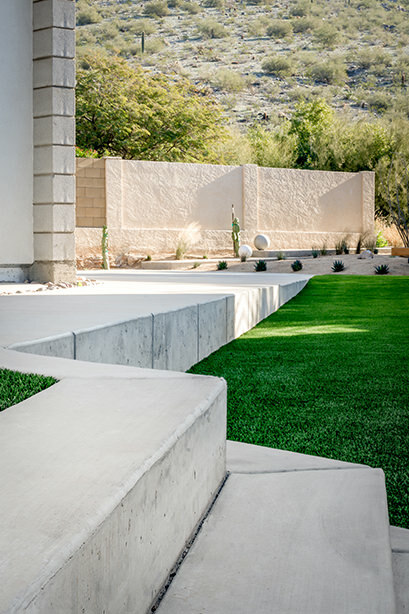 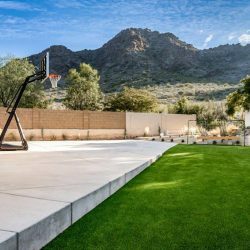 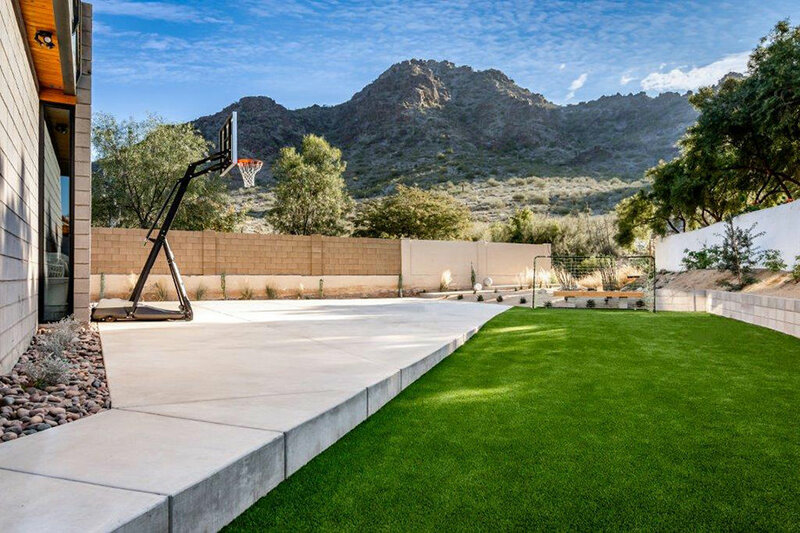 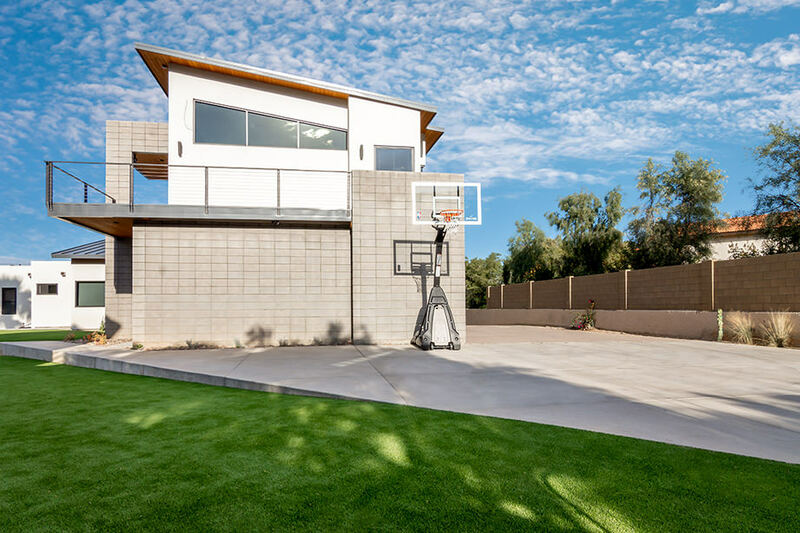 Our team recently worked on a project in Phoenix, Arizona that would be any concrete contractors dream. 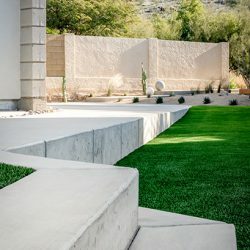 The architecture of this designer home centers around the use of concrete to create unique spaces, that are both stylish and functional. 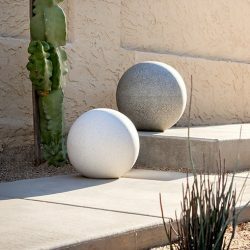 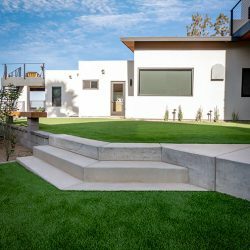 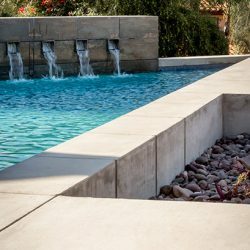 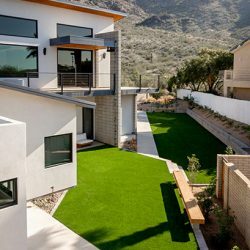 For this post we wanted to share with you some of the unique ways that concrete was used to create a truly stylish finish. 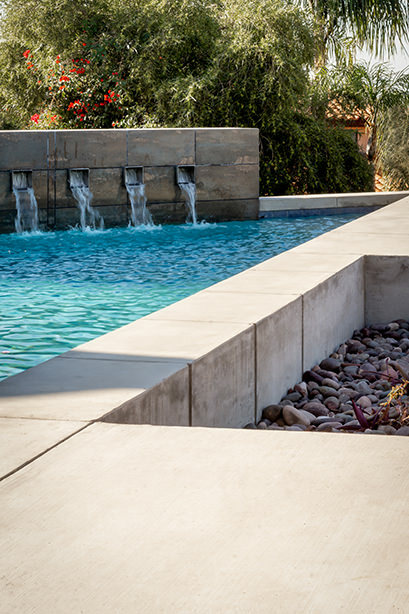 Our team worked on the concrete sunken area located to the side of the main house. 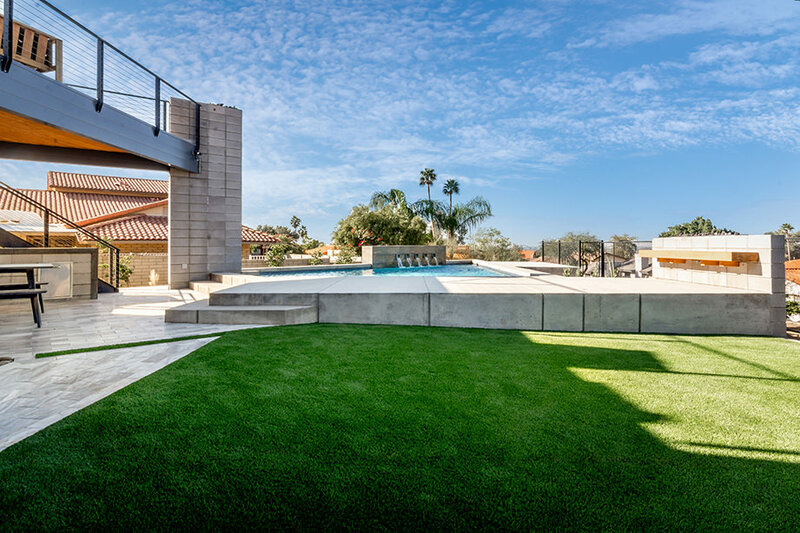 This whole area is a unique design feature, shaded and protected from the elements by the deck above, and accessed from the main house and a steel staircase that sweeps down behind a feature concrete wall. 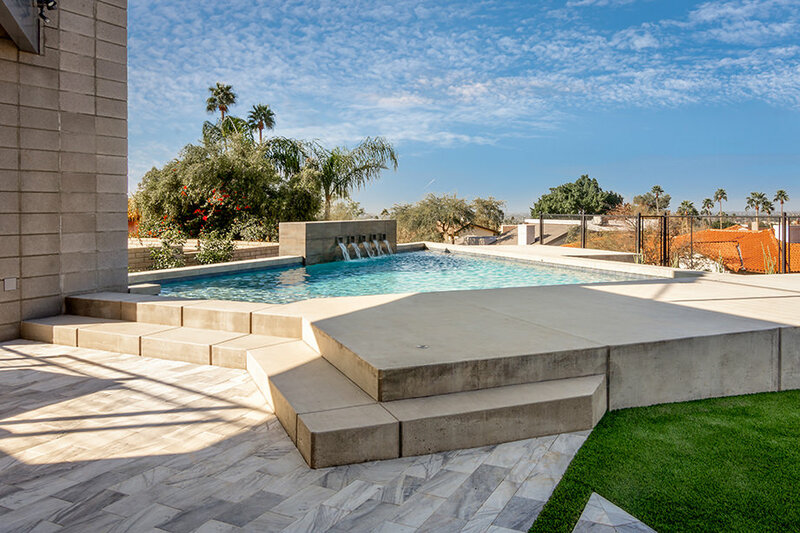 The concrete walls that surround this outdoor space create privacy as well as protection from the heat and weather for the kitchen and eating area, while views of the pool are still plentiful. 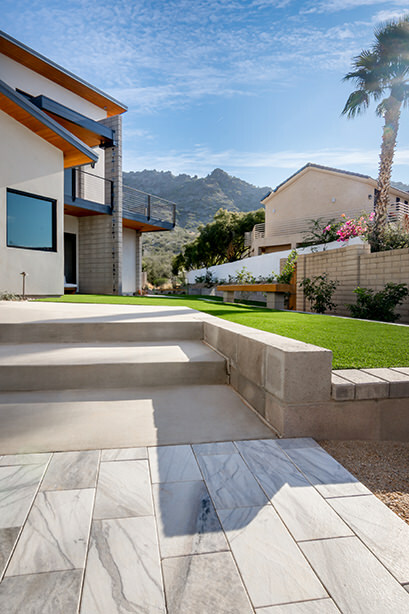 Our team used concrete for multiple elements in this area, including the kitchen, and the flooring. 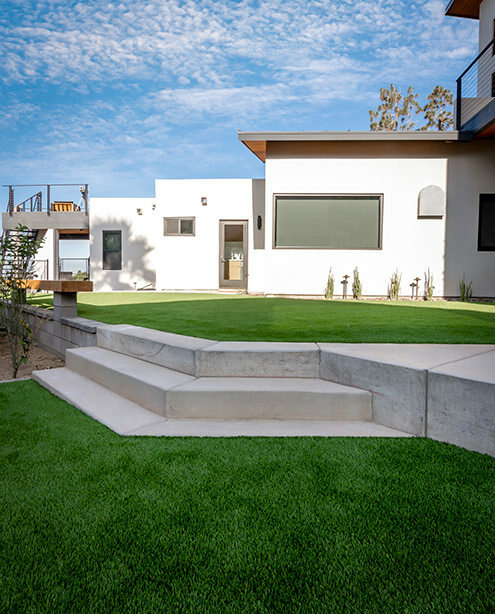 We love how the client used the concrete wall as an opportunity to hang art, creating a real indoor/outdoor feel. 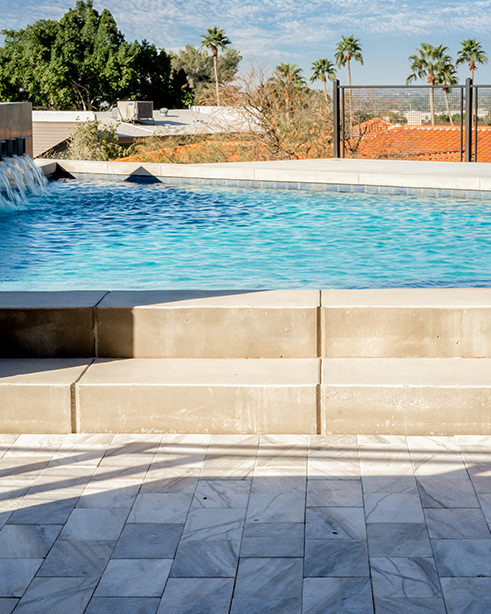 This was certainly not the first concrete pool deck installation for our highly experienced team. 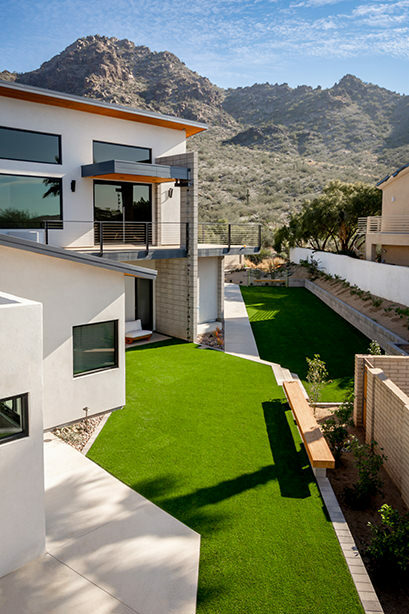 The client selected a broom finish, often a great value choice, and in this case also a great design choice that fully complements the architecture. 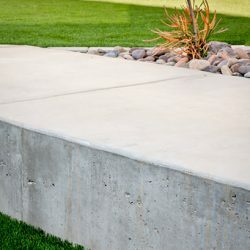 The technique uses basic concrete and the finish is created with a broom for a smooth surface. 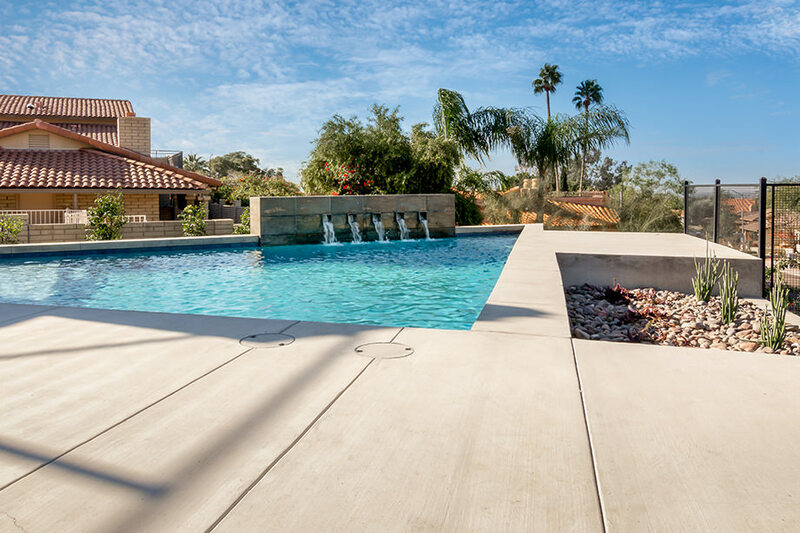 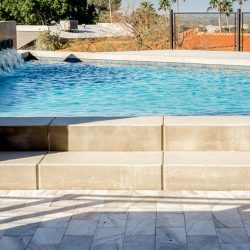 The smooth surface acts as a perfect finish for a pool deck, whereas polished concrete could be dangerous and slippery. 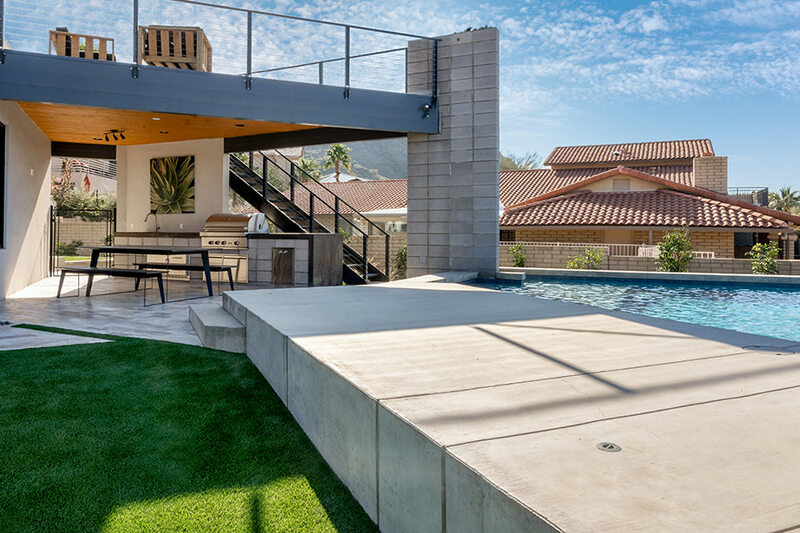 In this project the concrete pool deck mirrors the use of concrete throughout the large outdoor area. 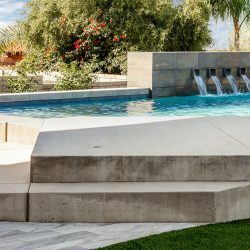 Particularly the unique pieces of concrete design and sculpture, highlighting the exceptional architecture and surrounding mountains. 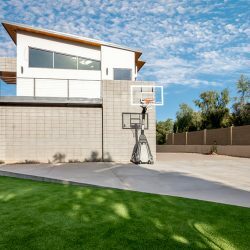 As part of this project our team also worked on the client’s driveway. 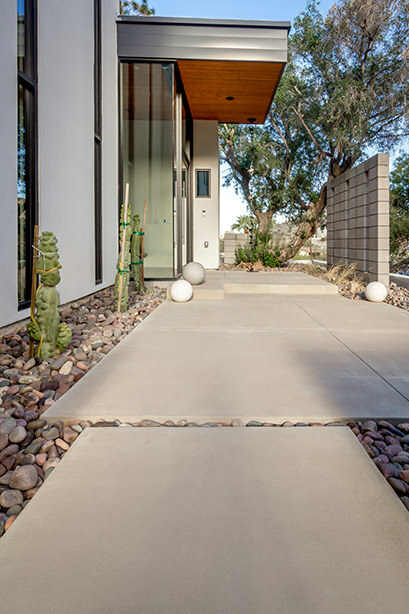 Exposed aggregate was selected. 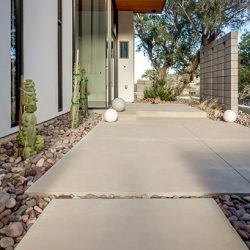 A great choice for driveways, exposed aggregate offers versatility and a complementary look for most housing and architecture. 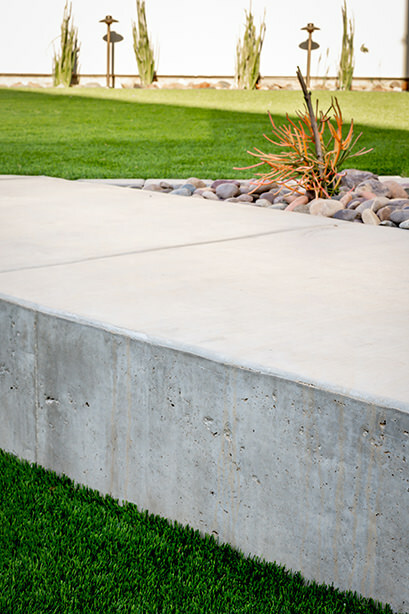 It is also, perhaps more importantly for a driveway, skid-resistant and easy to maintain. 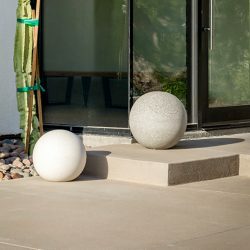 In this instance, it works really well as the look offers a design contrast with the other concrete work throughout the property. 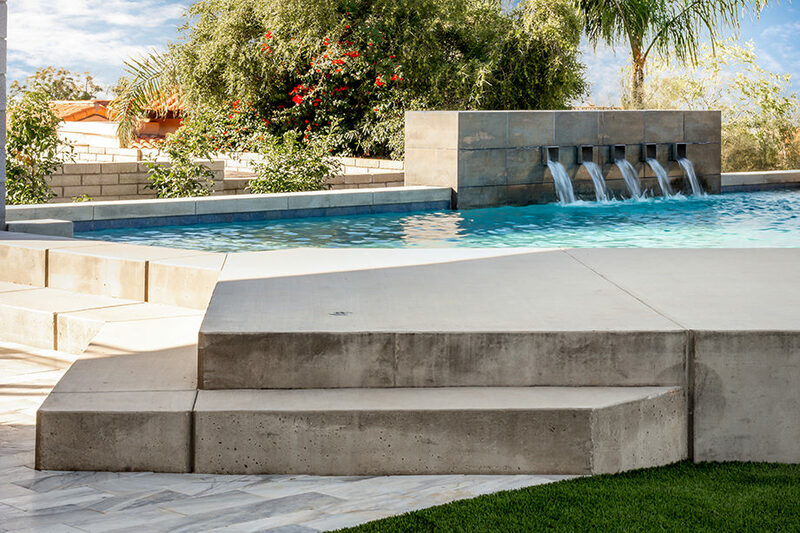 Overall, this was a fantastic project to work on from start to finish, and the end result is a real homage to concrete which we are proud to have been a part of. 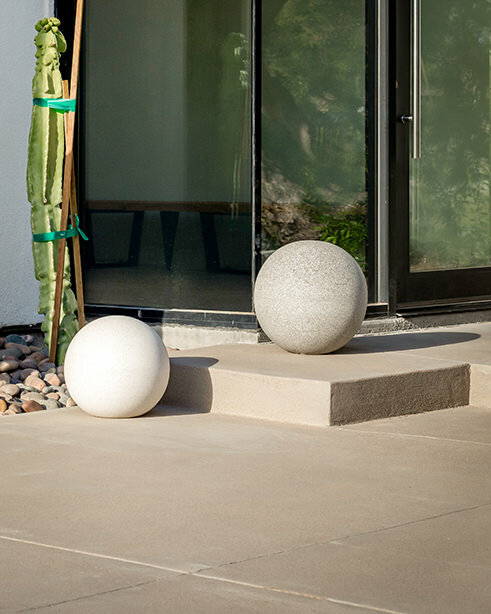 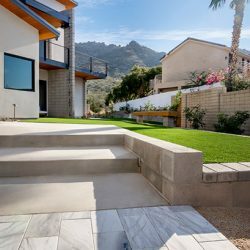 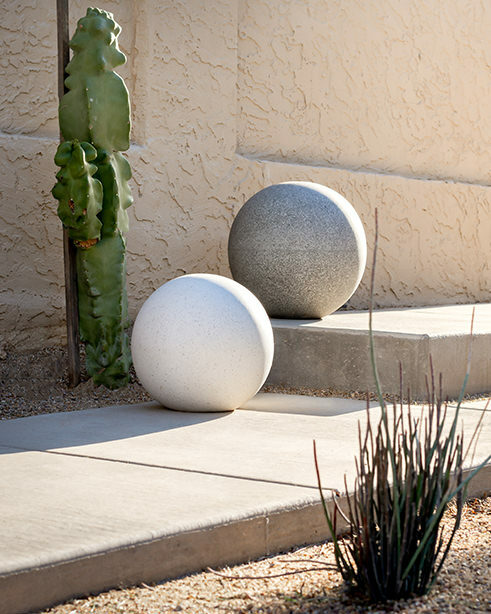 Make an appointment with one of our designers today to see how concrete can transform your backyard landscape.